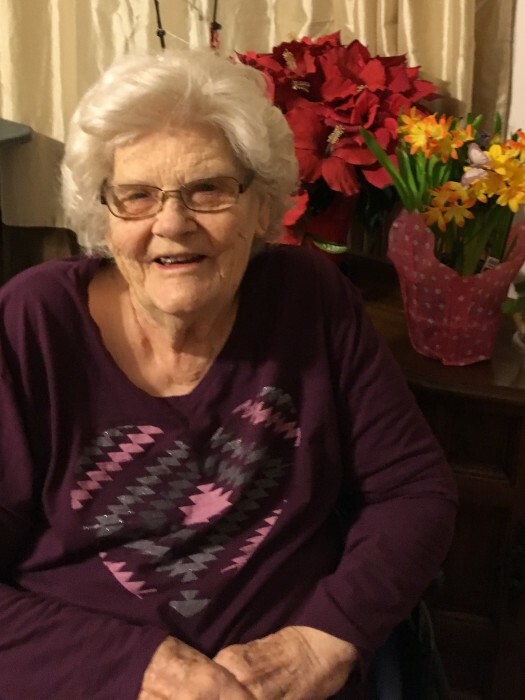 Mrs. Kathleen J. Purkhiser, age 88, of Salem, passed away Saturday, March 23, 2019. Kathleen was born June 14, 1930 in Washington County, Indiana the daughter of Roy and Lillie Mae Matthews Lewellen. She retired from the old G.C. Murphy Store and Ames Department Store. She was a member of Fort Hill Church of Christ, Community Club #31 and Piecemakers Quilt Guild. She was preceded in death by her husband: Ralph E. Purkhiser, three brothers: Leon, Morrison and Ronald Lewellen, a sister: Doris Jones and her parents. She is survived by her children: Sharon Cromer (Morris) of Avon, Indiana and Marvin Purkhiser (Lorri) of Salem, a brother: Audrene Lewellen of Sarasota, Florida, four grandchildren: Sharalynn Cromer (Sean Campbell), Seth Cromer (Tara), Dana Lynne McRae (Jay), and Caleb Purkhiser, and five great-grandchildren: Riane Freie, Lily, Evey, Isla, and Silas Cromer. Funeral services will be held Wednesday at 11:00AM at Weathers Funeral Home. Burial will follow in Crown Hill Cemetery. Visitation will be Tuesday from 4-8PM and Wednesday from 9AM-time of service.